An elegant and pure Platonic cube here matches the harmony of the structure's purpose and form, in both metaphorical and programmatic terms. 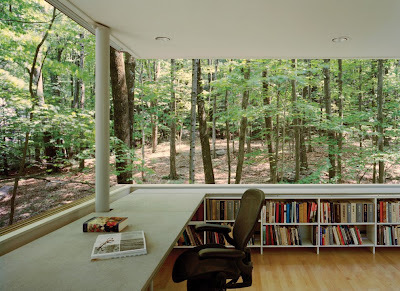 The second floor is entirely open and is a working private study library. 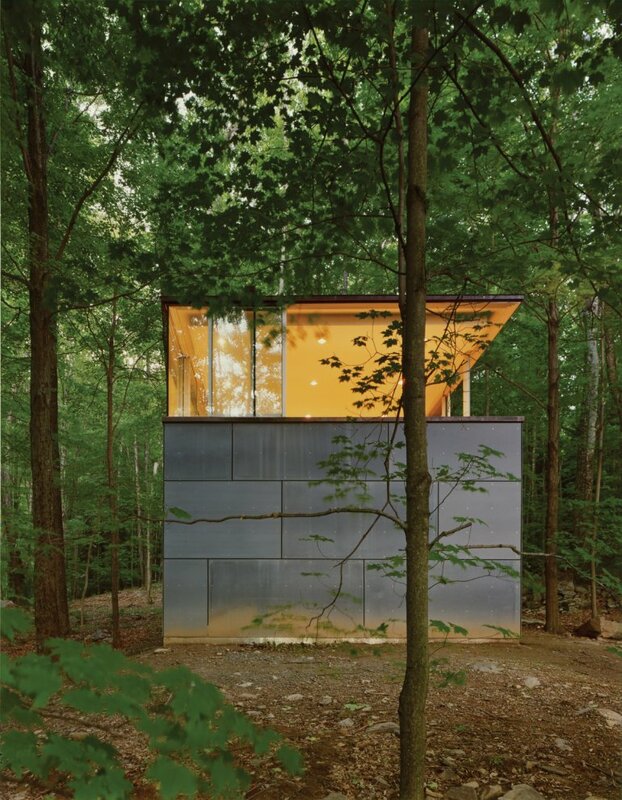 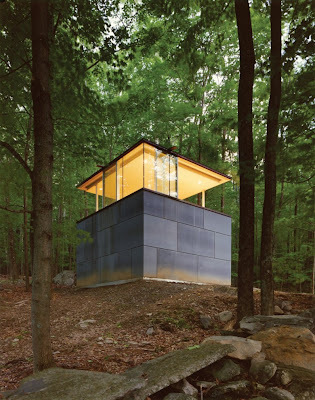 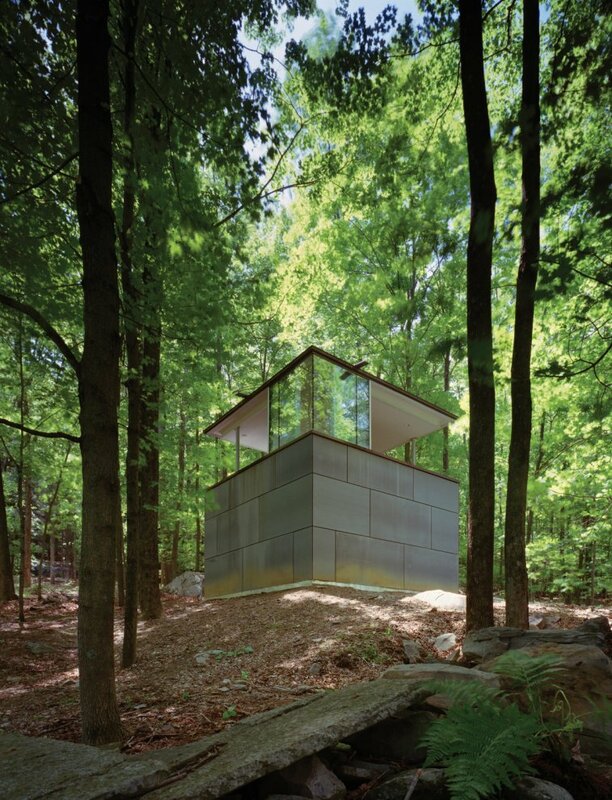 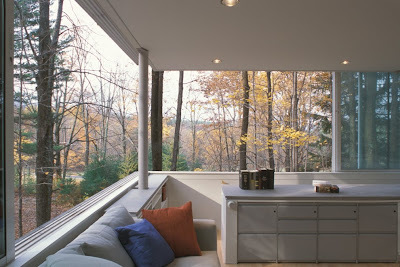 The sliding windows open on all four sides to create an atmosphere of an aerie in the woods. 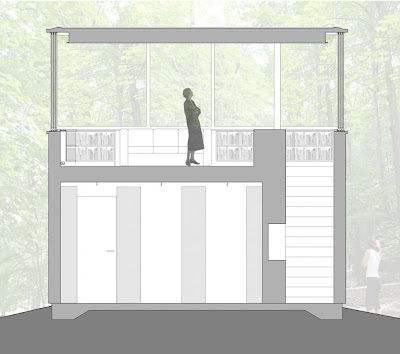 The first floor, which is completely closed, is contains book stacks for library.